Atlantic III at The Point in Aventura is part of three other Aventura condos by the architect Robert Swedroe, this one obviously being the third in the condo community. The Atlantic III rises 31 stories and has great vistas of the Intracoastal as well as Aventura's gorgeous skyline which is just as dynamic as the denizens that call the city home. 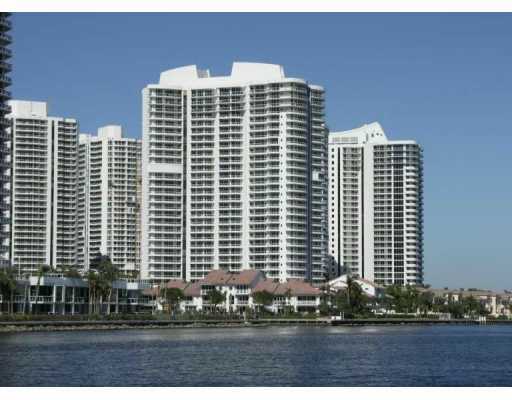 The Aventura condos for sale of Atlantic III at The Point have 810 square feet of living area with one bedroom. Larger units have up to five bedrooms and nearly 3,000 square feet. All of the units have modern features and you'll discover more great features throughout the community like a quarter of tennis courts, a game and tea room, a waterfront promenade that encompasses an entire floor, a spa and much more. Atlantic III at The Point is also one of the Aventura condos where pets are allowed. Atlantic III at The Point is close to beaches within several cities, including Sunny Isles Beach, Hallandale Beach and Hollywood. To find great shopping, residents of Atlantic III at The Point need only visit popular Aventura Mall. Miami Beach to the south also has its own sunny sands in addition to plenty of shopping in popular places like Lincoln Road or the various eateries and bars on Ocean Drive.